Herewith a copy of the Full Comment as submitted to Theewaterskloof Municipality in respect of the proposed Alienation (Sale) of a portion of Erf # 595 (Greyton Commonage). The document was submitted to TWKM by the Ward 2 Forum, in terms of the Public Participation Process (PPP) and request by TWKM, as advertised in the Gazette on the 19th January 2016, for comment/objections by the community. 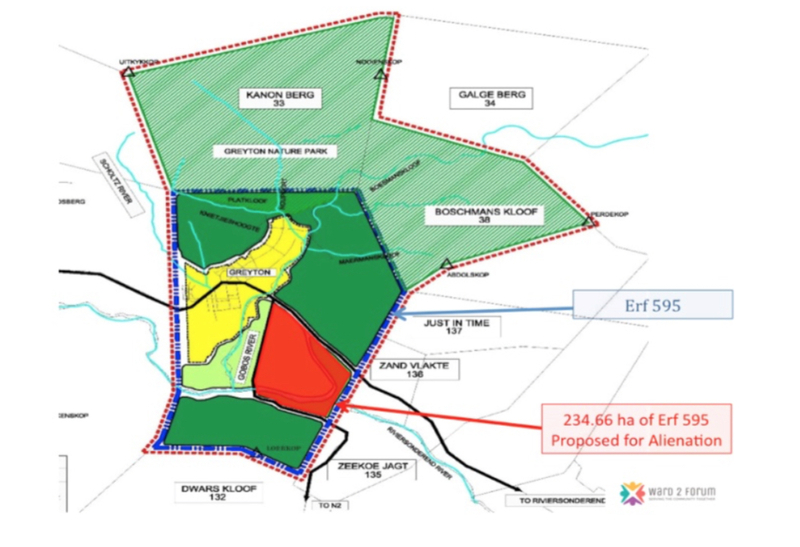 It is imperative that the communities of Ward 2 area participate in this process to ensure that an informed decision is taken on the alienation or not of this tract of land. Click here for document in PDF format.